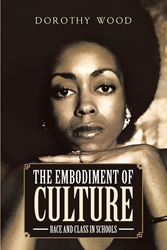 Recent release “The Embodiment of Culture: Race and Class in Schools” from Page Publishing author Dorothy Wood is a profound narrative that delves into racial discrimination. Dorothy Wood, a retired teacher from Mississippi, has completed her new book “The Embodiment of Culture: Race and Class in Schools”: a culmination of life that recounts racism, culture, and intolerance, as seen through the eyes of a black person. Published by New York City-based Page Publishing, Dorothy Wood’s tantalizing novel reminds readers of an opprobrium done towards the people of a specific race and social group, ostracizing individuals based on biased judgments. It is also a reflection on how harsh society can be because of prejudice, thus calling out to everyone to stand up and unite against racism and bigotry. Readers who wish to experience this eye-opening work can purchase “The Embodiment of Culture: Race and Class in Schools” at bookstores everywhere, or online at the Apple iTunes store, Amazon, Google Play, Kobo, or Barnes and Noble.